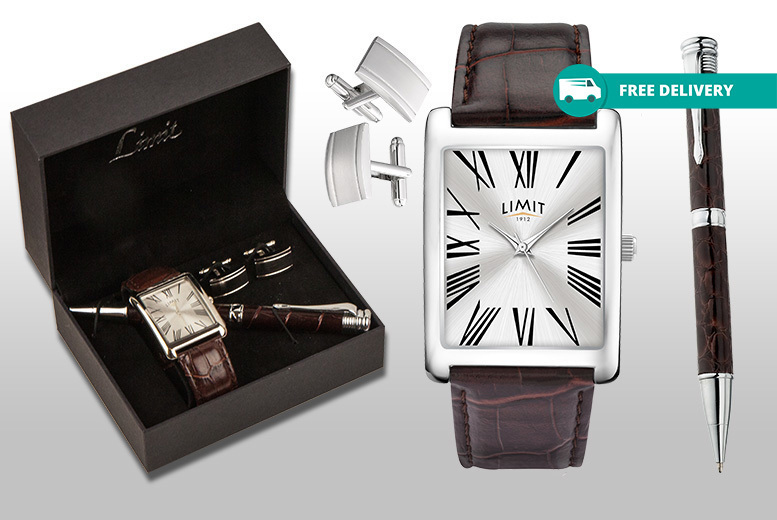 Get a three-piece gift set from Limit, esteemed watchmakers since 1912. Includes a Limit watch with sunray-effect dial and scratch-resistant glass. Powered by Japanese precision quartz movement. Plus a pen and pair of cufflinks. Comes in a branded presentation box. The perfect present for the man in your life!